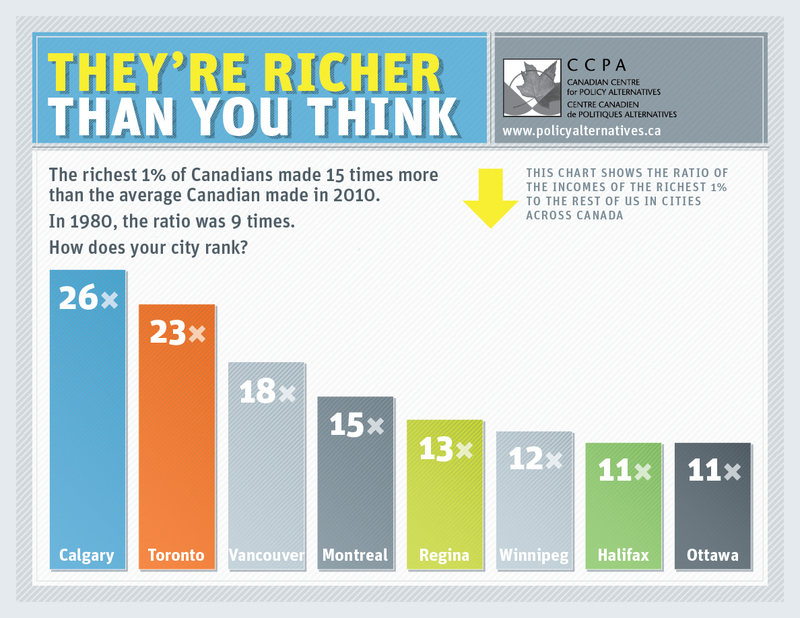 Income inequality in Canada is on the rise—especially in the country's largest cities. 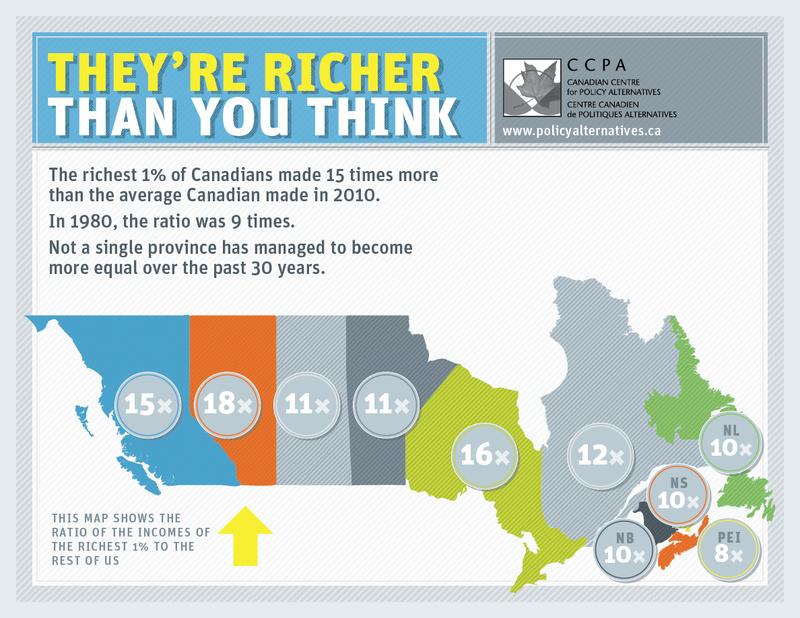 CCPA analysis of new data finds the richest 1% of Canadians make almost $180,000 more today than they did in 1982 (adjusted for inflation), while the bottom 90% of Canadians saw income gains of only $1,700. In Canada’s three largest cities—Vancouver, Toronto, and Montreal—the bottom 90% make less today than they did in 1982. They’ve seen drops in income of $4,300, $1,900, and $224, respectively. The top 1% in those cities saw pay increases of $189,000, $297,000, and $162,000, respectively. No province has managed to become more equal since 1980. Instead, all provinces have become more unequal, although to varying degrees. Click here for more analysis, and check out our infographics below. Pour une analyse québécoise (en français), visitez le blogue d'IRIS: Le 1% au Québec (1): plus de revenus, moins d’impôts.